We’ve all heard stories of Robin Hood and his Merry Men. Most historians believe Robin himself was probably based on a real person who lived during the 13th Century, but the facts have been lost in the mists of time. Whatever the truth may be, the story of the outlaw who robbed from the rich and gave to the poor is forever linked with Sherwood Forest, north of Nottingham. 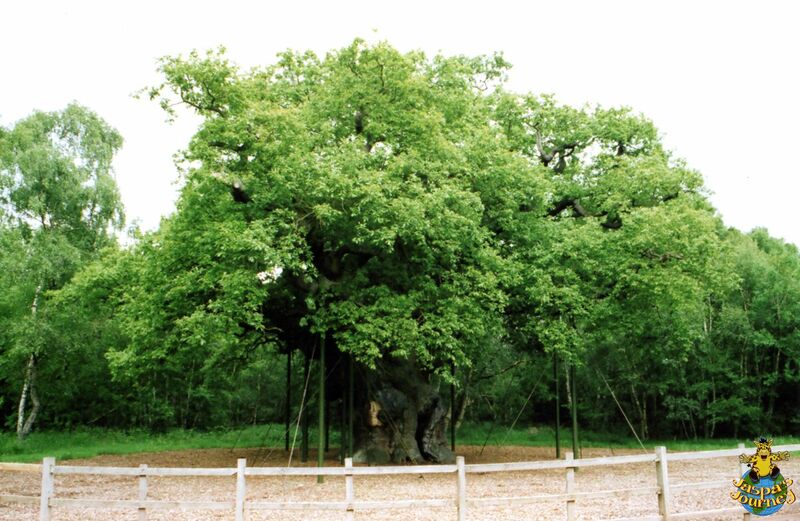 And in the heart of Sherwood Forest (which is much smaller than it once was) is a massive tree called the Major Oak. This mighty tree really is major in its own right. 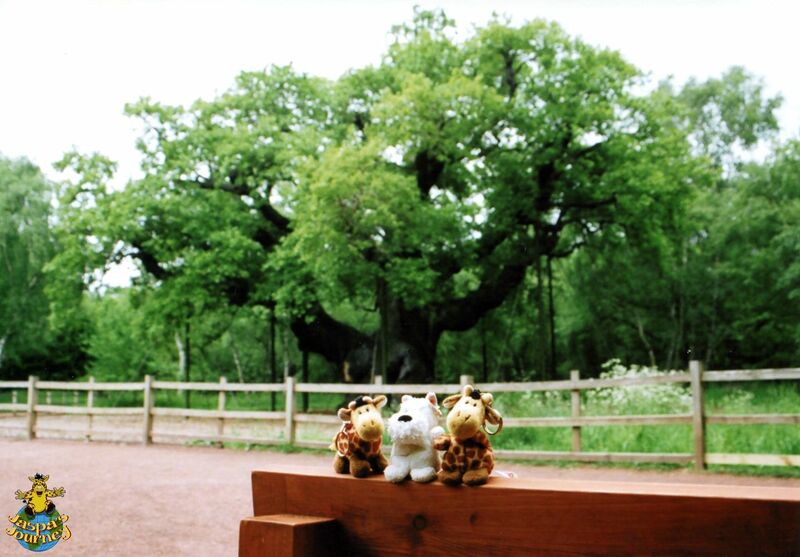 In fact, it’s the biggest oak tree in the UK. Its trunk is 33 feet around, its branches spread 92 feet, it weighs an estimated 23 (British) tons, and is somewhere between 800 and 1000 years old! Yet it gets its name from a local historian, Major Hayman Rooke, who described it in 1790. 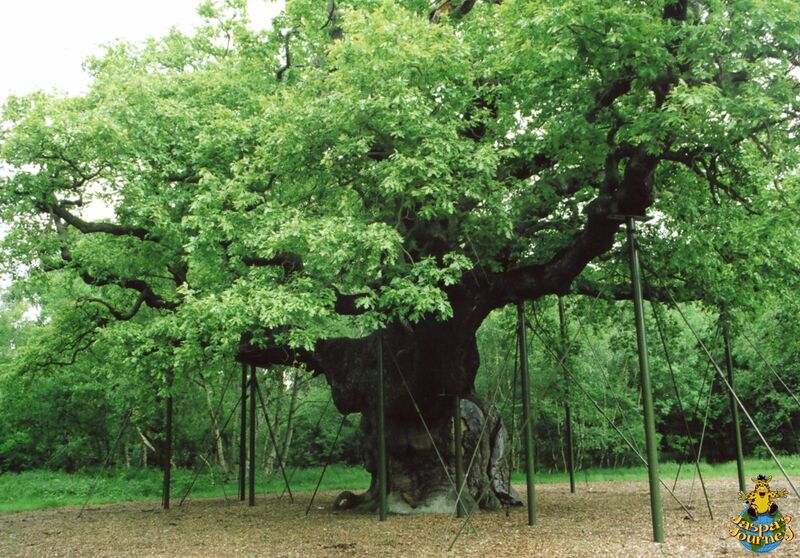 Legend has it that Robin and his Merry Men used to shelter beneath its branches. Yet if historians are correct, the Major Oak would have been a lot less ‘major’ when the ‘real life’ Robin Hood knew it. This post was inspired by the photo themes of Leaves or Trees from Cee’s Fun Foto Challenge, plus Story and Fact from The Daily Post. This entry was posted in Adventure, History, Travel, United Kingdom and tagged legend, Major Oak, Nottingham, Robin Hood, Sherwood Forest. Bookmark the permalink. Such a fun read 🙂 And quite informative too. Thanks for the share. Glad you enjoyed it, Rin! Some people are just unfathomable, Sylvia! It is, isn’t it? Although not as ‘major’ as Oregon and Califonia’s redwoods, Cee! And the forest around it has some wonderful trails too.